Today I think we can safely say we experienced one long “God Moment”. The day began with a walk around the compound as we heard of all the accomplishments that have taken place here. We all stood amazed at how God truly is everywhere no matter what country we are in. He has his people everywhere and we can see Him if we are watching. We can hear Him if we are listening. He wants to communicate with His people. His sheep know His voice and they won’t listen to any other we are told in John 10. Gods Word is the same no matter what language or country we are in. It reads the same everywhere. His love is the same everywhere. We felt His love and for the people. We saw the needs being met as He allowed us to be His hands and feet. 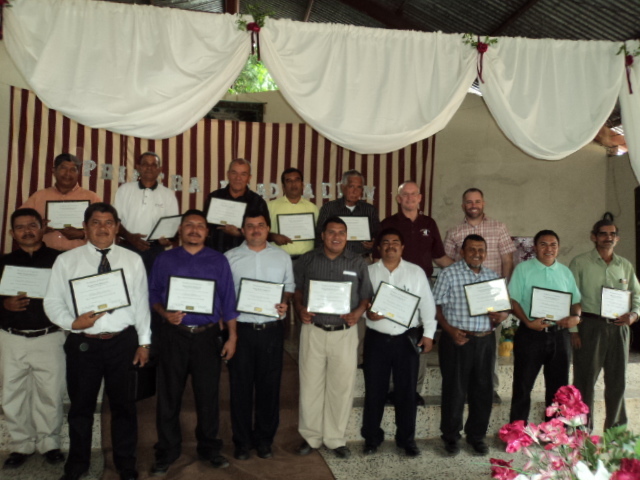 This afternoon we had our first “Pastors Graduation.” It truly was amazing to watch these men parade into the church and receive their certificates. Pam and I are very thankful to the many men of God that have taken time out of their busy schedules to come to Nicaragua and invest in the ministry of these 16 men. I look forward to seeing what God does through them in their church as we continue to sow into them next year. Because We Care Ministries, Inc.
Shop Now and raise funds for Manna Fest 2011! The Longaberger Fall and Winter collections are beautiful. 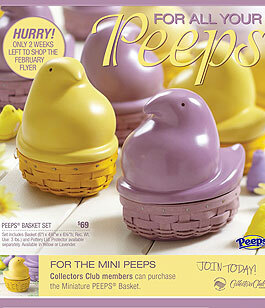 To join my online party, click the “Shop Now” button below. 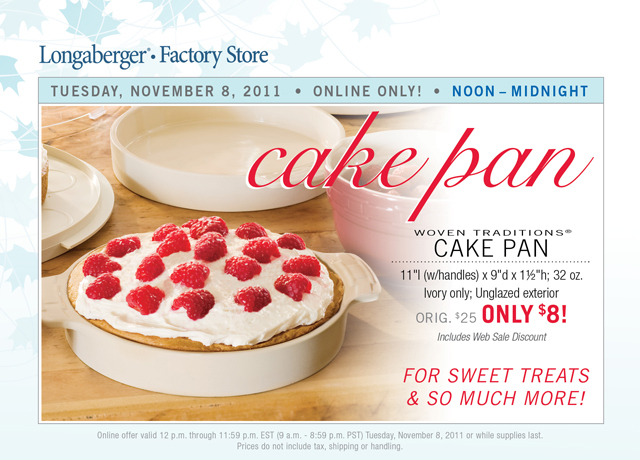 it’s sure to be a holiday favorite! 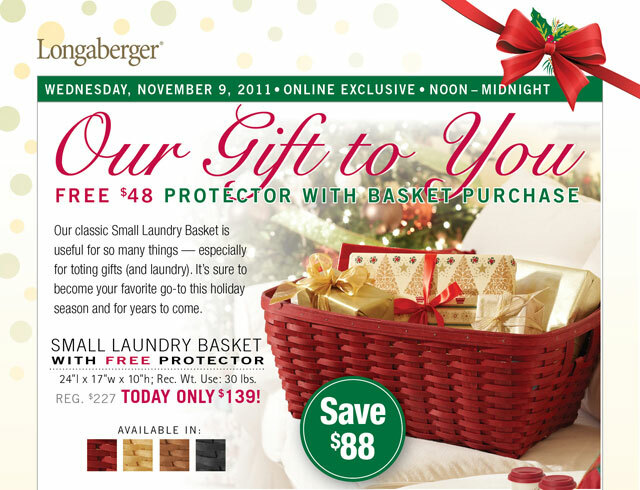 This online exclusive includes a protector with basket purchase. leave in car to hold jackets, raincoats, umbrellas, etc. Call 540-353-2292 and speak with Tammy about how to do this. Please remember to load you BWCM/Kroger gift card also! 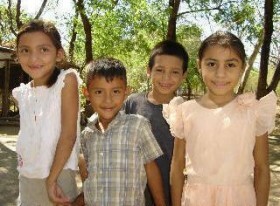 For every dollar spent we receive 5% to support our work in Nicaragua. You can be a blessing to someone today by shopping at Kroger and support BWCM at the same time! Support BWCM and start Christmas shopping too! Click the above site to go shopping and raise funds for Because We Care Ministries! 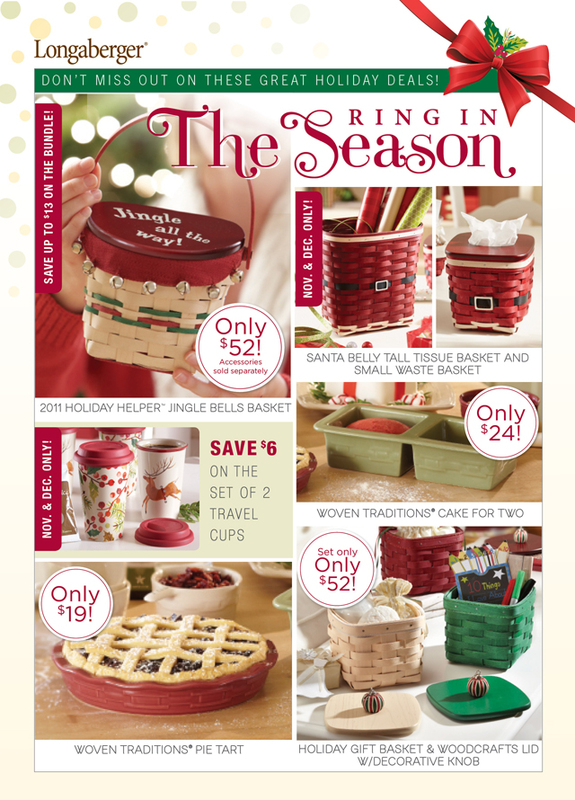 Help raise money for Nicaragua by purchasing Longaberger Products. All proceeds will go directly to distributing food and clothing; and helping to build homes, schools, churches and clinics for the people of Nicaragua. 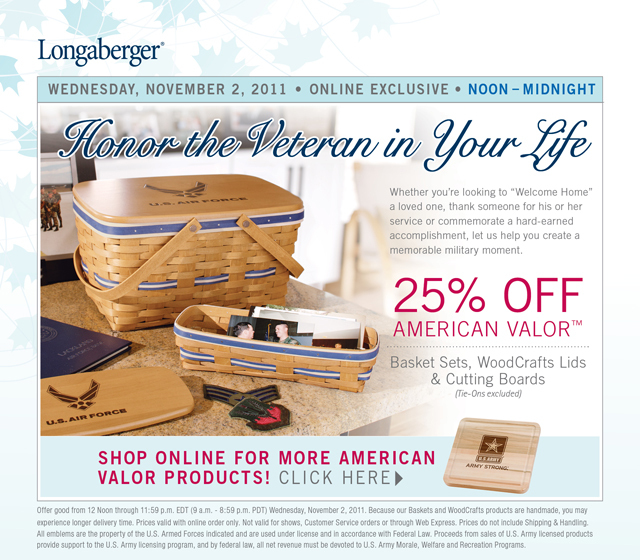 In order for us to raise the funds, all orders my be placed on our website: www.longaberger.com/bwcm. Thank you for helping us! 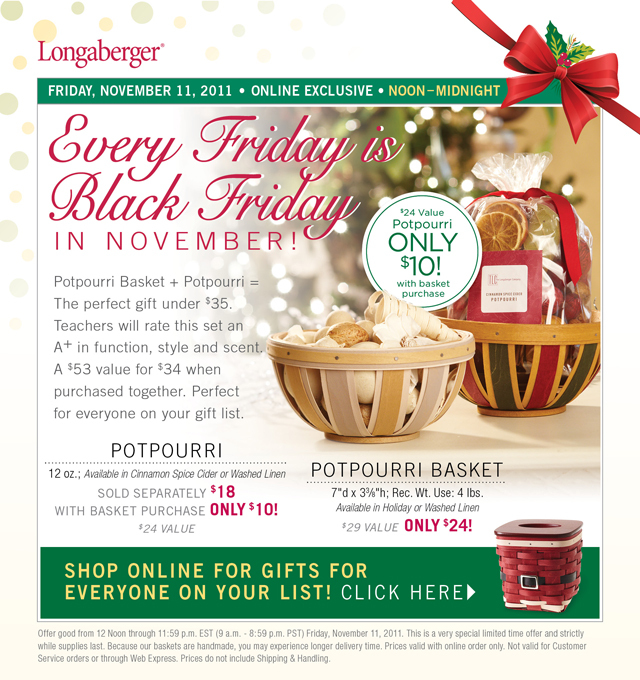 Please forward this email to friends who might like Longaberger as well. Regular Products may be purchased 24/7 on the website. If you have specific questions about products, you may call Tammy at 540-353-2292. Each week there are specials that we will email to you. Please place your order directly on the site with your shipping address and credit card info. Orders will be shipped directly to you! A few years ago a pastor friend of ours was working on the church building when he accidentally struck a power line. To this day no one really knows how long his lifeless, burned and broken body hung from the platform that he had been working from. What we do know is that his darling wife spent almost 48 hours getting him to a hospital that would actually treat him. It’s hard to imagine but they were actually turned away from two hospitals before he got to The Baptist Hospital in Managua. It doesn’t have to be that way…. 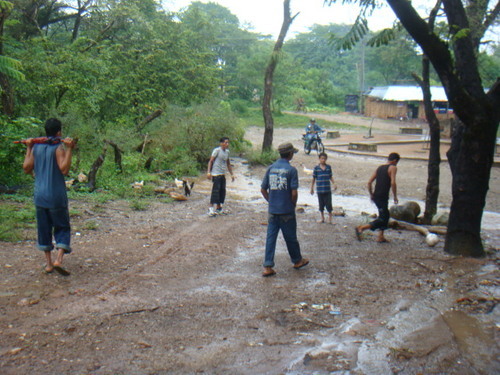 Mid summer one of our teams visited a village that we hadn’t been in for more than a year. When God touches my heart about changing the plans for the day I know it’s going to be big. On this particular day it only took a few minutes to find out what GOD was up too. Sitting under a shade tree cooking the now famous “chicken stew” they began to call my name from the church where the Dr and some of the team members were doing medical. A young mother had brought her 6 month old daughter that was suffering from pneumonia to see the Dr. and ask us to pray with her. In less than an hour they sought me once again to pray for a young girl (less than a year) that probably would have died if the Dr hadn’t shown up that day. It doesn’t have to be that way…. The problem in these remote villages is that most young mothers have NO way of seeking help and in many cases there is NO help to be found. 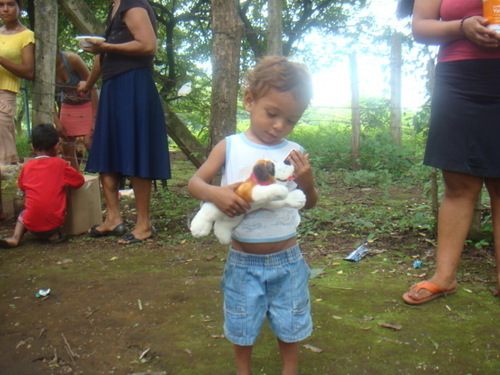 Nicaragua has an infant mortality of 1 in 3 before the age of three. We could debate the problem for days and it won’t change anything. It doesn’t have to be that way…. Rain Rain & more rain has been the pattern of our week! It has been raining for 10 days. However, in the midst of the rain & schools being shut down, God still had a plan and places for us to go. Tyler began this morning with our devotions before we headed out to the radio. While at the radio, Tonya & Richard shared their testimonies followed by the Tate’s. Terry, Tyler, Jordan & Tabor sang “This is the day the Lord has made, I will rejoice and be glad in it.” This song’s message rang true in our hearts throughout the day. We were able to visit two villages today despite the flooding. It was quite an adventure! We first visited Pascuala. It truly was a miracle to see the difference in this village from two years ago. Many houses have been built and established. Please continue to pray for a man named Michael, who we shared with once again, but has not yet surrendered to Christ. His family and wife are believers. We were also able to give out gifts to the children and share the gospel message through the wordless book. 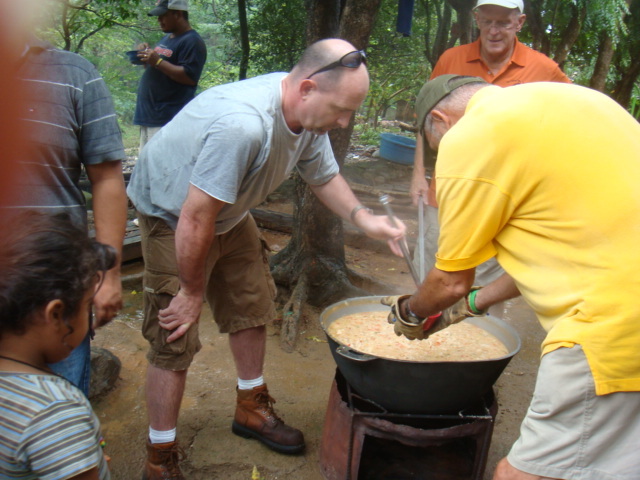 It was reiterated once again, “What if the missionaries hadn’t come today?” Many would be going to bed hungry. Many would not have heard the gospel message. 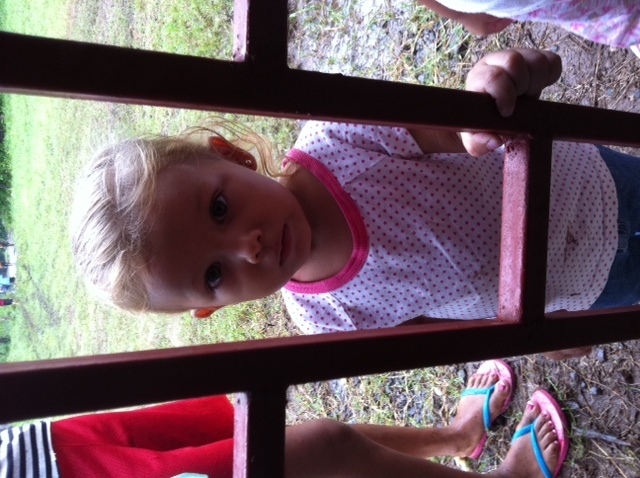 We would not have seen God provide for these precious faces if we hadn’t gone. As you finish reading this Nica news, remember, “You were called to freedom, brothers. Only do not use your freedom as an opportunity for the flesh, but through love serve one another.” Galations 5:13. What an amazing day this has been. After torrential rain, stopping us from many of our own plans for this week, we saw the mighty hand of God once again and His divine direction. The radio power was up today and after devotion and breakfast, the team headed to radio. Testimonies and music was given as well as the Word. We returned to the casa and held the last day of pastor’s conference. Our ladies held Bible study and fellowship once again with the pastor’s wives. We have experienced such a blessing from these ladies in the few hours we’ve had with them. It makes us realize we aren’t so different in some ways but our dedication is lacking. We came to encourage and strengthen them but instead, we were the ones encouraged and strengthened. We saw Jesus in them each day. Walking miles, crossing the river on inner tubes in pouring down rain to get here; would we do that in order to come together to learn God’s Word? More blessings came on the trip home. Donald stopped the vehicles and we parked on the side of the bank. We all headed down to the river and one of our team members was baptized there in the river. This is truly a Halleluiah day! This morning started with devotions from Uncle Kim out of Luke 10:38-42 where he talked about Mary and Martha. He challenged us to not lose sight of why we are here and not be so busy that we fail to see Jesus. The team anticipated going to the radio station to sing and give testimonies but God had different plans for us. Due to heavy rain, the power was out at the radio station so we had praise and worship at Casa De Shelly with singing and testimonies from Tyler, Pam, and Rose. Later in the morning, due to flooding only a few brave pastors and their wives made it to pastor training. 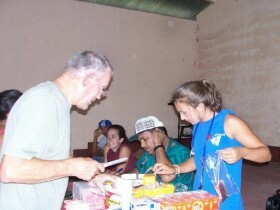 For the sake of their safety, the ministry distributed food to them and transported them home. Seeking God’s will for the day, the team went to a school only to find all the schools were closed in the area due to the rain. We then went to the local hospital and had prayer and presented the gospel to several very ill patients. One thing we have learned on the mission field is to be flexible and wait on the Lord. After lunch, we ministered to local families at the new clinic site that Because We Care Ministry is seeking funding to finish. It is a beautiful building and will be such a blessing to so many once the final construction is completed. We cooked stew and had the nurse see many patients including an elderly lady whose family had brought her on a wheelchair in the heavy rain. 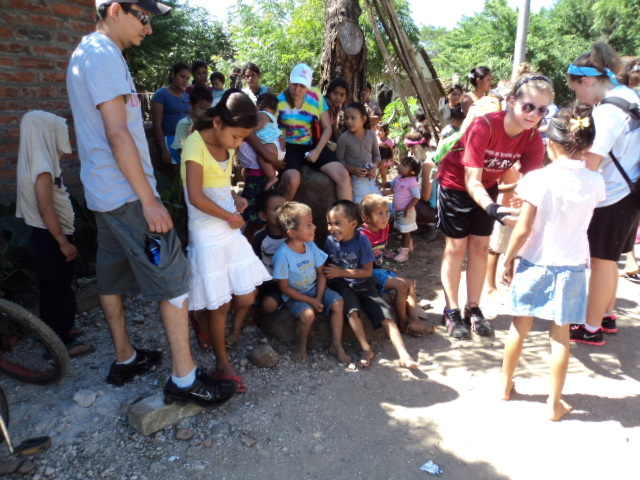 We engaged the children/youth through soccer, face painting, jump rope, puppet shows, and a fun skit from Pastor Jonge. We offered the gospel and praise God for the responses! Despite the inclement weather, God is good, and we had a great day on the mission field. Today was our first full day at Casa de Shelly. We started out the day with Terry doing devotion about love, serve and reflect. (Galatians 6:2, 1Peter 4:10, 1Thes. 2:8). Then we anxiously waited to hear Terry & Oscar sing on the radio. Patty was more than willing to give an action packed run down of her life and personal testimony. Kim offered the message of salvation and offered scripture from Genesis about Esau and Jacob. Per normal it was a joy to hear Don scream “Hallelujah”!! The morning continued with the Pastor’s conference. Don and Jonge led the men with the topics of leadership, humility and perception. Pam and Linea led the pastor’s wives. We began the day with our personal testimony of when we accepted Christ into our lives. We were blessed to hear their stories and share ours. It is very inspiring to hear another person’s journey to accepting the lord into their lives. Pam then led us into a bible discussion on Romans 12. As Christians we need to serve or we are off balance. The lord has blessed us all with at LEAST one gift and we need to find what that is. She also talked about Matthew 20:28. We have been put here not to be served but to serve. She also spoke about Galatians. 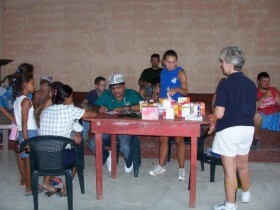 We prayed around Basilla, Jesus and Isabell for healing needs and their continuing mission work. The ladies were treated to lunch and jewelry making. It was a joy to get to know them and their passion for Christ. In the afternoon we went to the second village of the week, named Pajuil. We went to this village on a large dump truck. On the way there, it started to pour down raining. We attempted to put a tarp over the rails on the truck, this seemed to be working at first, but then the rain started to come in from the front and the sides getting us all wet. 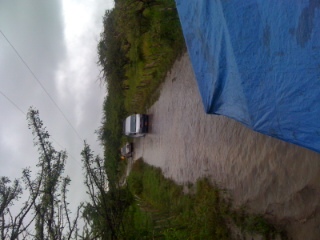 As we headed to the village on the dirt road, the road had ditches running through it, with water filling it up. The truck had a hard time getting up the road, after several tries, we made it. A lady at the village, allowed us to set up the medical clinic on her porch. Many people came to this, including women, children, and a few men. Some of the team members worker with the people on the wordless book, crafts were done with the children, and handed out bubbles. 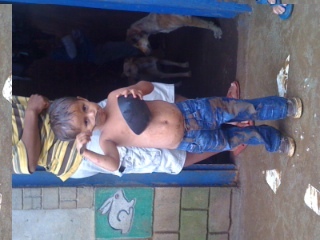 Bowls were handed out for the meal that was prepared by Donald, which was NICA stew. Approximately 320 bowls was passed out by the mission team, this was completed in 6 minutes. Donald also asked a young girl carrying her baby sister and two bowls of soup, if “we hadn’t come, would you have eaten today”? Her response was “no”. She said that her mama had been sick. She went to the hospital over a month ago and they just sent her home, without answers. Jonge then said a prayer with all four of her children. Tomorrow the mission team will be going to a different village and will be doing the pastors conference. We are looking forward to what God has in store for us! There are plenty of needs in the world that we live in today. You can watch the national news on any given evening and see a world in desperate need of help. People are hungry. People are sick. Nations are in political unrest. This is abundantly clear today and will become even clearer in the days ahead. Even more important than the physical needs in our world today, you can see a world in desperate need of the hope that can only be found in the gospel of Jesus Christ. 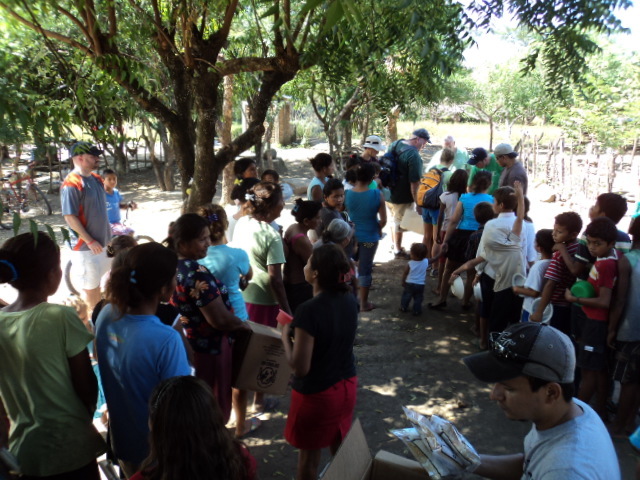 Every once in a while an opportunity arises where both the physical needs and the spiritual needs come together in one project – such an opportunity exists in the small town of Somotillo, Nicaragua. Nicaragua is the largest country in Central America. It is the second poorest country in the western hemisphere, partly because of the long civil war of the 1980’s and the devastation caused by hurricane Mitch in 1998. The vast majority of the five million inhabitants live in extreme poverty with many suffering from severe malnutrition and starvation. This led Pam and I to start “Because We Care Ministries” in 2000. This ministry helps people meet their need for a Savior, while also helping to meet the critical physical needs of hunger, substandard housing, shortage of water, lack of schools and education, and the lack of churches and strong pastoral leadership. Over the past eleven years Because We Care Ministries has offered general economic, healthcare, and emergency relief to tens of thousands in the Chinandega region of northern Nicaragua. On one of the many trips that we led into the remote areas of Nicaragua, Pam and I encountered a woman named Maria carrying her daughter (Alba) down a dirt road trying to make it to the main highway. I stopped the truck and discovered that the little girl had fallen and had severely injured her mouth and face. When we asked this mother what she was doing she simply told us that she was trying to get to the main road in hopes that someone, anyone would be able to help her. Miles away from any sort of civilization, and many miles away from any hospital, Maria was carrying her daughter who needed emergency medical attention with only a prayer that someone could help. In God’s providence she found us. 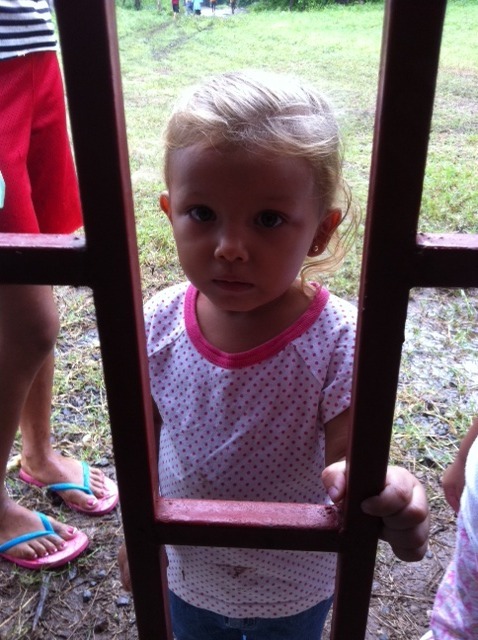 We took her into town and the little girl got the medical attention that she needed. That image of Maria carrying her bloodied and battered daughter down a dirt road with nothing but hope had a tremendous impact on us. 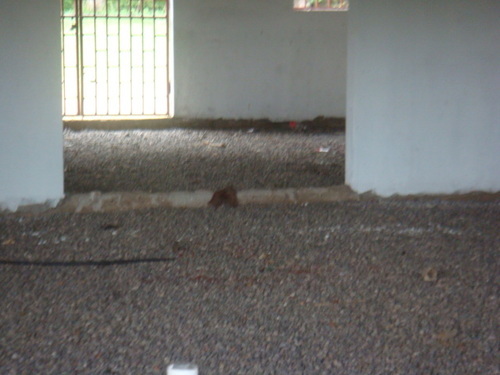 This encounter and countless others just like it, led us to begin the construction of a free clinic in Somotillo. God gave us a vision to provide free medical services to anyone who could come. Nicaraguans could come and receive various medical treatment from basic family medicine, to minor surgery, to dental and optometry services. People just like the ones who live in a village called Cinco Pinos, which is twelve kilometers (7.45 miles) away, could enjoy free medical assistance. Because We Care Ministries will partner with local doctors there as well as physicians within the Nicaragua Baptist Convention and physicians on teams coming from the United States. They have hosted several medical mission trips in the past where teams came in, helped for a week, and then went back home. 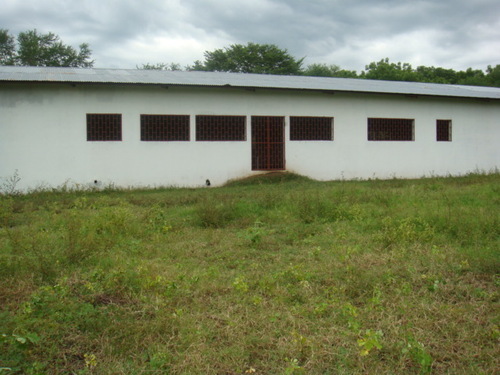 This clinic would be open year-round for Nicaraguans to come and have physical needs met as well as a place where they can understand their spiritual need for a Savior. You can help make this vision become a reality and help meet a tremendous need. 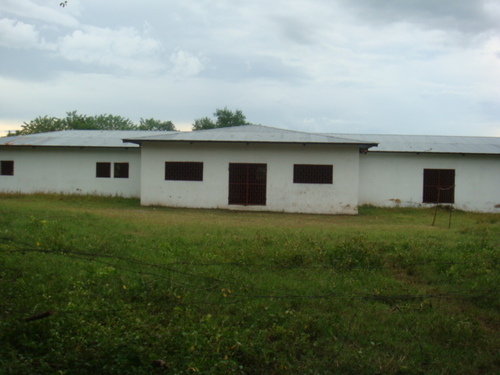 Currently the clinic building is unfinished. There are people who are ready to serve and plenty of people who need medical attention. 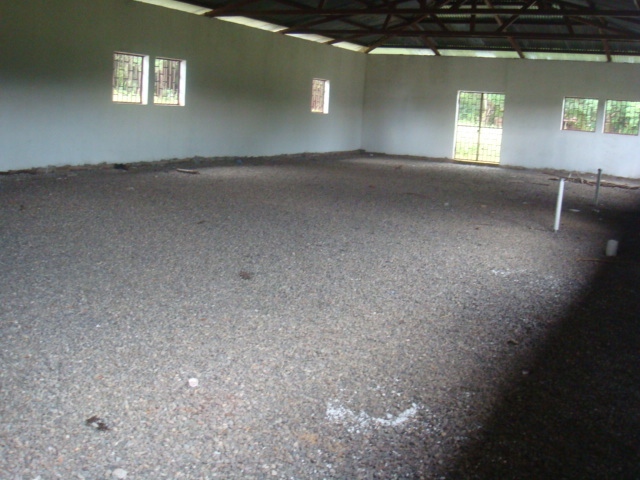 The only obstacle left is to finish the construction of the facility. In order to help meet the financial burden of completing the building, one of the donors for Because We Care Ministries has graciously offered to match any donation towards the clinic up to $20,000. That means that if you can give $100 then he will match it and make it a a $200 gift. If you can give $1000 it becomes a $2000 gift. If we can raise $20,000 then he will match it and make it a $40,000 gift, which will allow the clinic to open up as soon as possible. 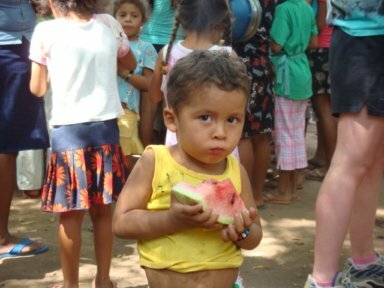 Will you prayerfully consider joining in this effort to meet the physical and spiritual needs of the people within the Somotillo area of Nicaragua? This matching gift challenge will last through Dec. 31, 2011.